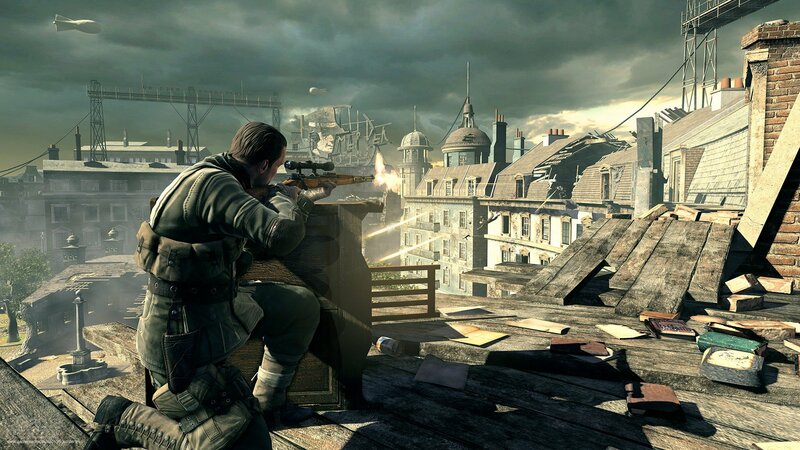 Gamers fond of 2012 release Sniper Elite V2 are in for a special treat, as the crew at Rebellion is gearing up to launch the remastered version of the game next month. Titled Sniper Elite V2 Remastered, the new version of the game will launch for both retail and digital storefronts for $34.99. However, players who pre-order the digital edition of the game are eligible for a 10 percent discount. On the other hand, those who own the original 2012 version of the game on Steam will be able to upgrade to the Remastered edition for 10 bucks. Being remastered, the new version of Sniper Elite V2 will include all of the usual high-fidelity bells and whistles that players have come to expect from modern software. In this case, such new features include both 4K visuals and support for High Dynamic Range. The crew at Rebellion has even seen it fit to throw in a special Photo Mode, which is a growingly popular addition meant for players keen on setting up interesting (and often hilarious) screenshots. Beyond the game's single-player campaign, V2 Remastered will keep the online component and co-op missions present in the previous release. It will also feature several characters that appeared in the Zombie Army expansions, and offers multiplayer play for up to 16 players on all but the Nintendo Switch, which is limited to just 8-player multiplayer. Pre-orders for Sniper Elite V2 Remastered for Xbox One and Nintendo Switch will be available starting on April 24, and can be placed by heading over to the official Sniper Elite website. The game will hit retail store shelves for the PlayStation 4, Xbox One, Nintendo Switch, and PC starting on May 14. For more coverage of the gaming industry's hottest news, guides, videos, and more, be sure to keep your web browser tuned right here to Shacknews. these games are really fun and I've enjoyed all 4. Sniping fools in the nuts with X-ray vision never gets old.